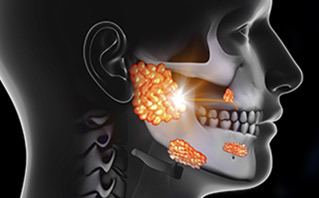 Dr. Larian and his team of world-renowned specialists are exceptionally qualified to treat virtually all diseases of the parotid glands, including tumors, parotitis, stones and cysts. We specialize in minimally invasive procedures that successfully resolve and cure the disease while enhancing the patient's quality of life. One of the few surgeons in the world with the expertise to perform minimally invasive parotid surgery, Dr. Larian's innovative approach minimizes scarring, reduces pain and decreases recovery time. 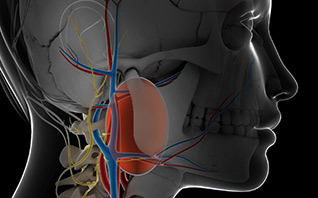 The facial nerve passes directly through the parotid gland. A leading expert in facial nerve reconstruction, Dr. Azizzadeh is present during every parotid surgery performed at the CENTER, ensuring the facial nerve is safe and unharmed. During parotid reconstruction surgery, our team of specialists at the CENTER will correct the defect to restore harmony to the face and prevent long-term complications. 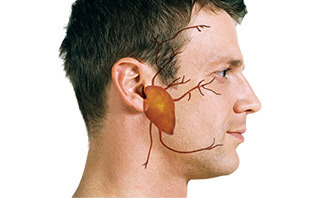 At the CENTER for Advanced Parotid Surgery our multi-specialty team approach to minimally invasive parotidectomy with facial nerve preservation and facial reconstruction ensures patients have access to specialists for every aspect of their parotid disease. With expertise in head & neck surgery, the facial nerve, facial plastic & reconstructive surgery, otology, and neurotology, our parotid surgery team delivers superior surgical outcomes. 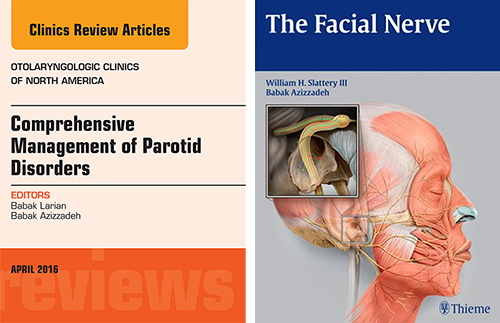 Complimenting this unparalleled medical expertise with a dedication to compassionate patient care, makes the CENTER for Advanced Parotid & Facial Nerve Surgery a highly sought after destination for patients from around the world. 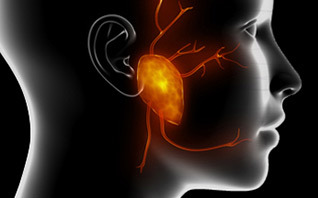 Parotid surgery requires an exceptionally high level of surgical skill for a very important reason; the facial nerve runs right through the parotid gland. The CENTER provides patients with access to the leading facial nerve expert, Dr. Babak Azizzadeh, so they can rest assured that the preservation of their facial nerve, and therefore their ability to move their face and make facial expressions, is in the best hands possible. 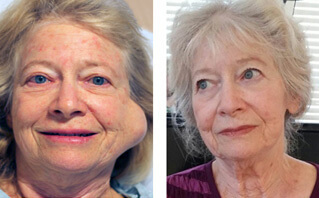 Distinguished by our compassionate care, cutting-edge techniques and rare ability to treat virtually all aspects of parotid disease, the CENTER is internationally recognized for delivering the best parotid surgery available. Dr. Azizzadeh and Dr. Slattery were bestowed with the honor of leading the 13th International Facial Nerve Symposium, which was held in Los Angeles in August 2017. Dr. Larian led the parotid surgery section of the symposium; it has been the largest parotid symposium to date. Dr. Larian and his team of world-renowned specialists are extensively trained to treat any disease or issue related to the parotid glands. Guided by our vast medical expertise and an unparalleled level of compassionate care, we will ensure you receive an accurate diagnosis and individualized treatment plan that results in a healthy, functional outcome. 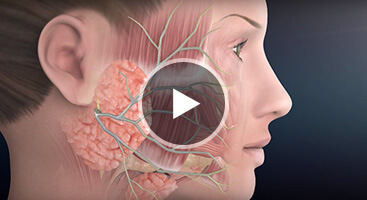 With decades of experience successfully treating parotid tumors, Dr. Larian and his team will perform a biopsy to determine whether the growth is malignant and develop a minimally invasive treatment plan to resolve the issue. 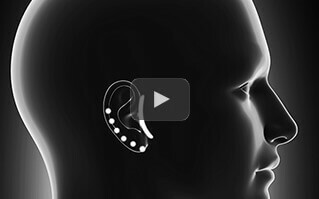 An extremely precise procedure, deep lobe tumor removal should only be performed by vastly experienced surgeons who can successfully remove the mass while preserving the surrounding nerves and structure. A painful condition, parotid stones may need to be surgically removed with a sialendoscopy procedure. 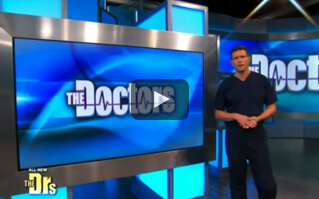 In these cases, our team uses the most advanced, minimally invasive techniques available to restore an improved quality of life. Due to the CENTER's international reputation for delivering the best parotid surgery available, many of our patients travel the world to seek treatment in our state-of-the-art facility. Devoted to ensuring your entire experience with us is safe, smooth and convenient, our knowledgeable and helpful staff is trained to assist out-of-town patients with travel arrangements and accommodations. If you are visiting our office from out of town, please call us for assistance facilitating your travel plans. We have put together a list of the TOP 6 THINGS TO KNOW ABOUT PAROTID SURGERY to help you through your parotid surgery journey.